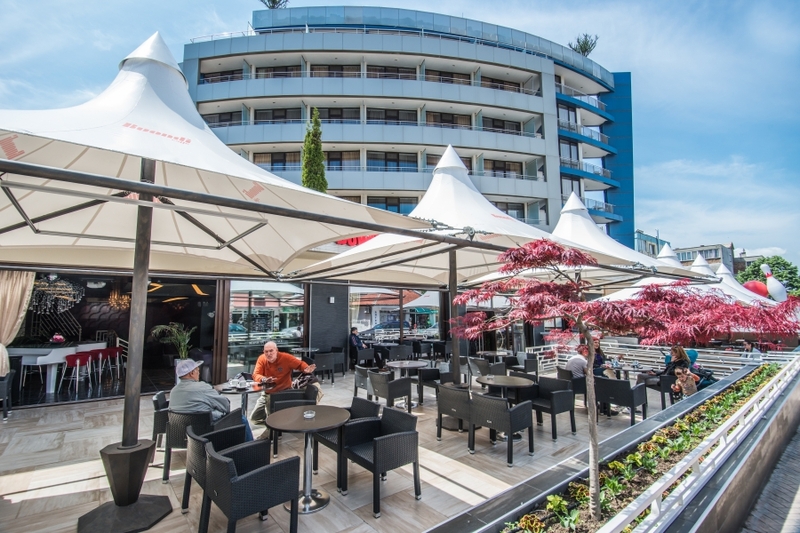 Marieta Palace Hotel is a four star hotel located near the best shopping streets of Nessebar and only 600 m. from the picturesque Black Sea beaches. Remarkable for its modern architecture and style that fit the welcoming atmosphere of Nessebar. 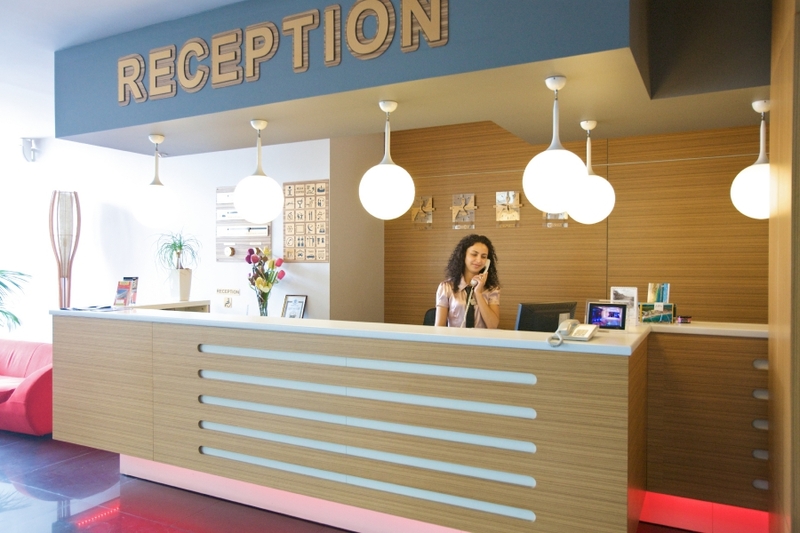 The hotel is open year round, has 85 luxury rooms and 16 suites, characterized by comfortable furniture and all the requirements of a modern European hotel – central air conditioning, direct dial telephone, satellite TV, Internet connection, refrigerator, safe, balcony. Other amenities available to guests are room – service, hairdresser, parking lot near the hotel. The restaurant of Marieta Palace hotel has 200 seats and e suitable for hosting all types of business and personal celebrations. The cocktail bar (lobby bar) offers fresh drinks and exotic cocktails. During the summer season the guests are the outdoor pool and terrace with sun beds and umbrellas, located on the top floor of the hotel. There you can relax and enjoy the spectacular views from the sky bar with refreshing drinks and cocktails around the pool and jacuzzi. The conference hall has 100 seats and the smaller 40 seats. Outfitted with a screen, multimedia, microphone, flip chart. 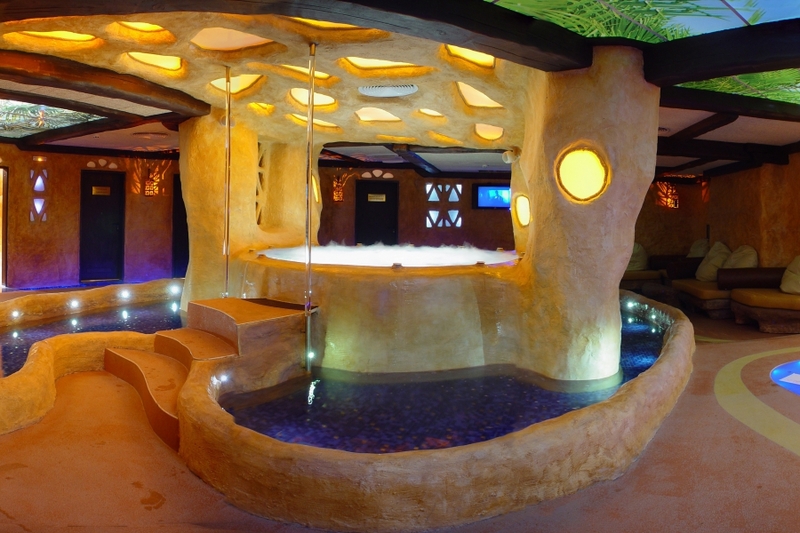 A unique part of Marieta Palace is a relaxation center. He added feeling of comfort, beauty and relaxation. It is equipped with a Jacuzzi for 12 people, sauna, infrared sauna, solarium, steam bath, Turkish bath, 7 therapeutic cabinets (realm of the massages best – professional cosmetics for them), recreation area. The modern gym is fully equipped for training and beginners and champions. Elegant luxury, entered in the romantic atmosphere of Nessebar Marieta Palace is a place for relaxation and recreation and entertainment, sports and business contacts. Marieta Palace will surprise you with the good quality of the food and alcohol. On the territory of the hotel you can choose between one restaurant, one lobby and cocktail bar, which will definitely contribute to the good mood of your summer vacation. 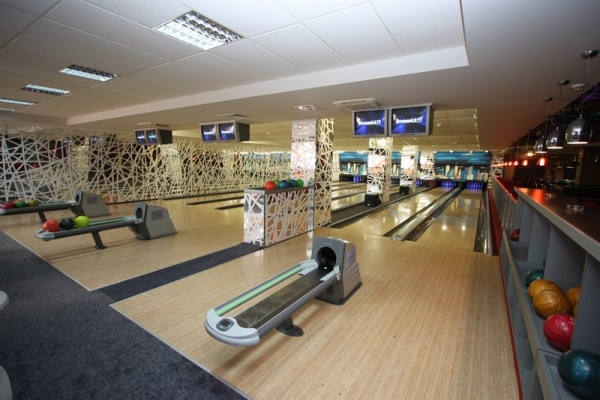 Surely you won't have time to feel bored on your vacation, as Marieta Palace offers rich opportunities for entertainment - professional bowling, billiards, snooker and other recreational games. Marieta Palace has stylish and modern furnishing in all of the 88 luxury rooms and 16 suites that have the approved quality of an European hotel.